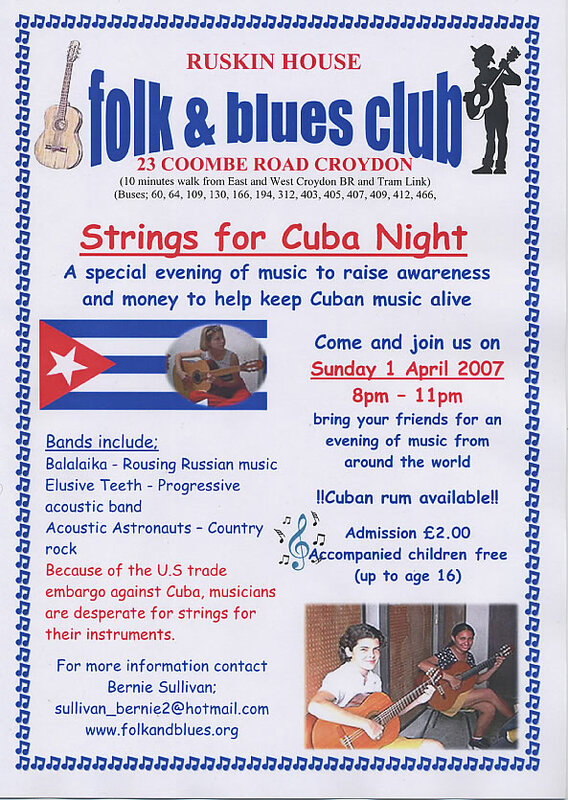 Just a short follow-up posting this morning, as I’m still tired from last night’s Strings for Cuba gig (organised by the Croydon Folk and Blues Club with The Elusive Teeth. However, I was very glad to take part. It was an excellent musical evening; other acts on the bill were Andy Smythe (backed up by Les Elvin on a great sounding Fender P bass), Bernie and Steve (who I’ve heard plenty of times but who still get some magical sounds from their assortment of instruments and gizmos) and The Acoustic Astronauts (fantastic all round although for me, of course, the highlight was the double bass! ).